A few weeks ago, our newest ATC member, Charlotte Goss, visited Filmore and Union in Beverley, to try out their healthy afternoon tea. Here's how she got on! 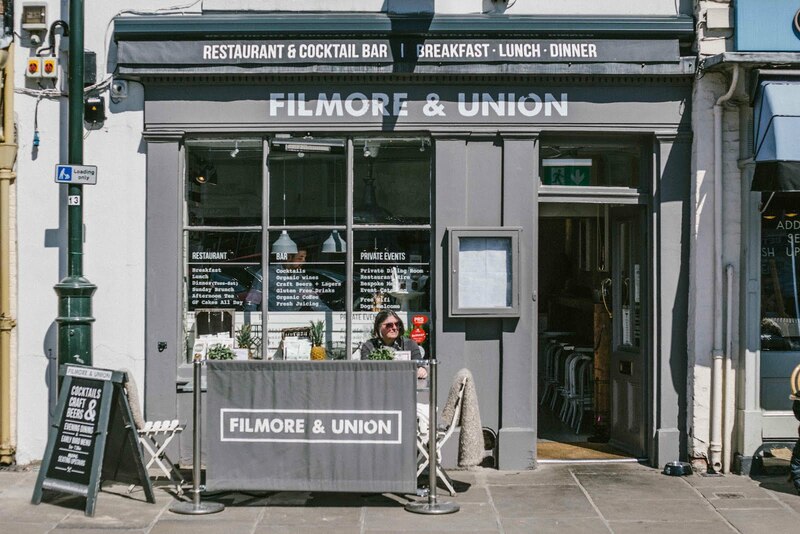 Filmore and Union are not the first restaurant to associate an ethos of ‘everything in moderation’ and healthy living with the classic Afternoon Tea, but bear with me! 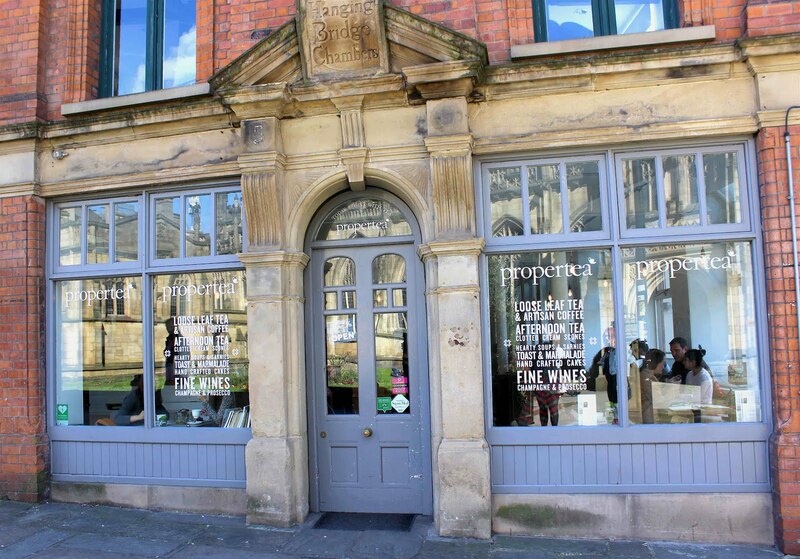 This Yorkshire based restaurant has been championing clean, pure foods since opening their first York site in 2012 and thanks to a hugely successful crowdfunding campaign, have exploded across Yorkshire, arriving in the East Yorkshire market town of Beverley last year. 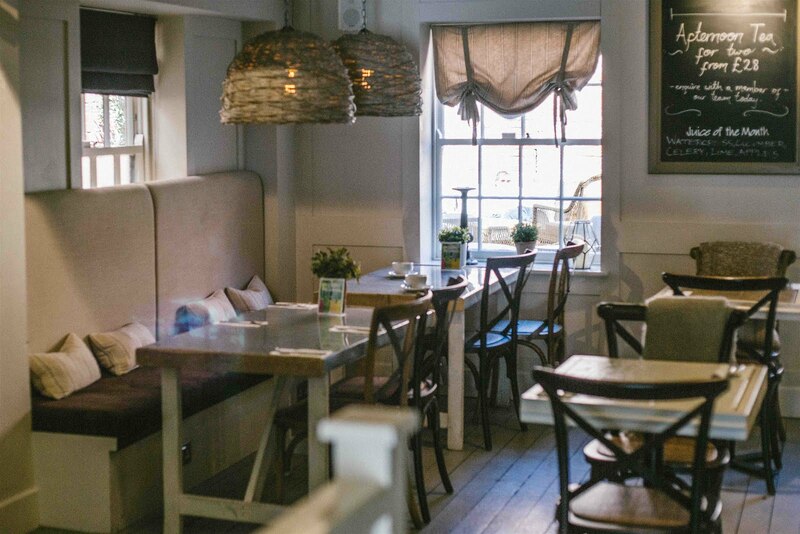 Walking through the door is enough to make you feel cleansed, as you’re whacked with the smell of fruit juice (think smoothie bar) and instantly feel the hygge vibe - very Nordic, natural, light and airy! 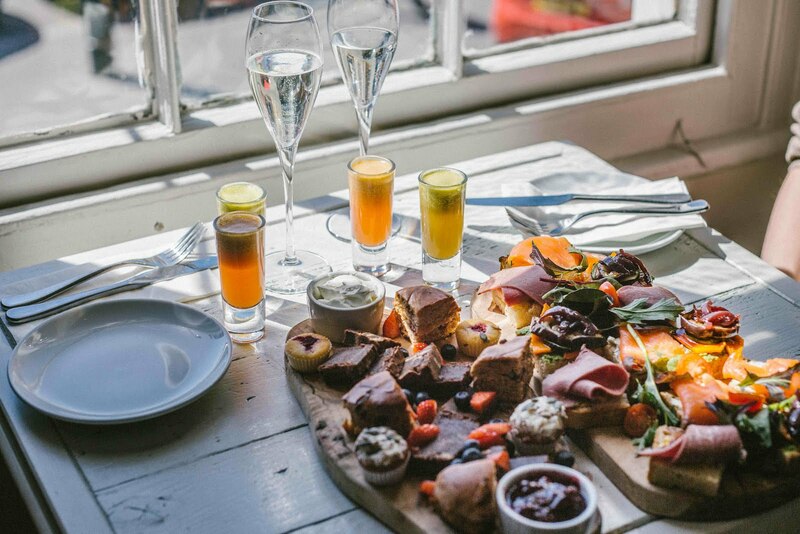 We took up a sunny spot in the window upstairs, overlooking Beverley square, and without too much perusing of the menu, allowing salad envy to kick in, we quickly ordered the 100% gluten free afternoon tea with prosecco – hey it was Friday. 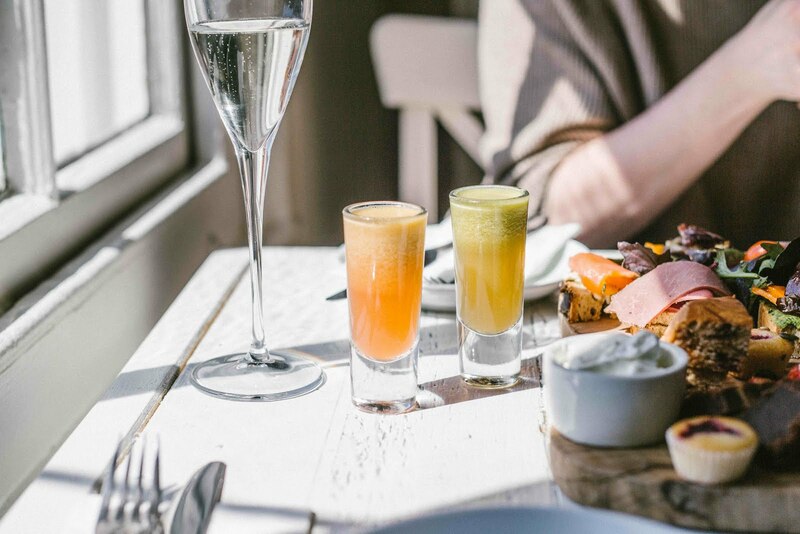 The fizz arrived in two gorgeous glasses, followed by our juice shots – delicious, fruity and packed full of the good stuff. Following this, our afternoon tea arrived - much to my surprise on wooden boards instead of the classic three-tiered cake stand. 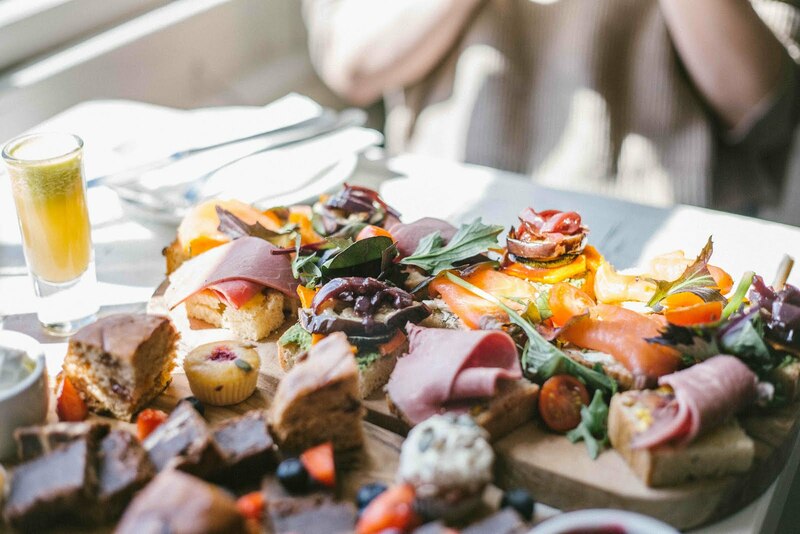 Let's start with the open sandwiches: We had Salt Beef, gherkins and sweet American mustard (we held the gherkins); Smoked salmon, cream cheese and dill, with spinach and Homemade hummus, spinach and roasted vegetables. The toppings were a flavour sensation, with some good pickling going on with the roasted veg. Now gluten free bread is not really my bag, I always find it just a touch dry. These toppings on a crusty sour dough though, oh boy I’d be in heaven. The scones had a spicy note, as a cinnamon lover this was right up my street and served with berry compote and greek yoghurt, I felt no shame in gobbling them all. The cakes were ‘little bites’ perfectly balanced with fresh blueberries and strawberries. We also had raspberry and polenta muffins which were gorgeously moist, fudgey chocolate brownie bites and seeded muffins. 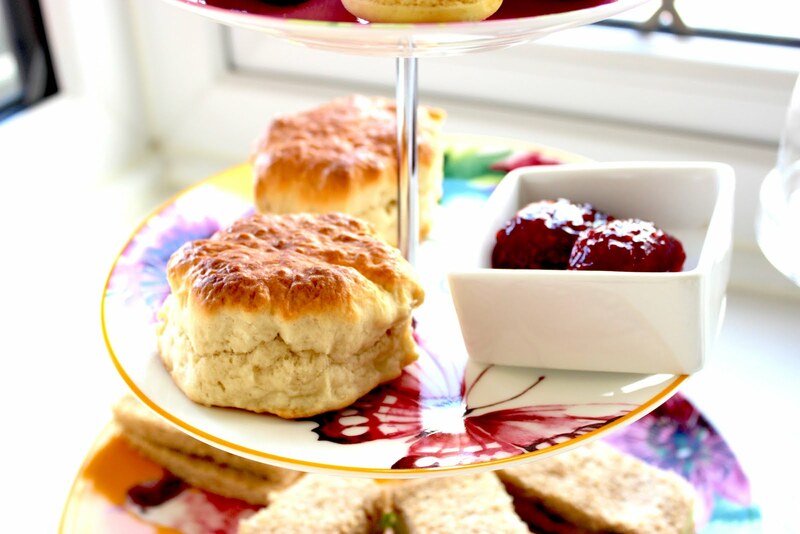 Have you ever tried a healthy afternoon tea? Tell us about your experiences below! Hello I'm Charlotte (Chaz), Cake/ Coffee addict and Pug enthusiast from a little market town in East Yorkshire! Charity Fundraiser by profession and Founder of baking business 'Rebel Cakes'. Famously nicknamed ‘pudding face’ as a child… and it stuck! I’ve recently started investing insane amounts of money into crockery, with the dream that I’ll one day have a kitchen of my own to use it in. However, until that day arrives, everything is being put to good use in my various photoshoots and tea parties at home. Most of the time I don't need too much of an excuse to eat cake, but when it comes with the added benefit of helping a good cause, there's no stopping me. This June (23rd-25th), Marie Curie are encouraging everyone to get in the kitchen and host a Blooming Great Tea Party, in support of patients with terminal illness. 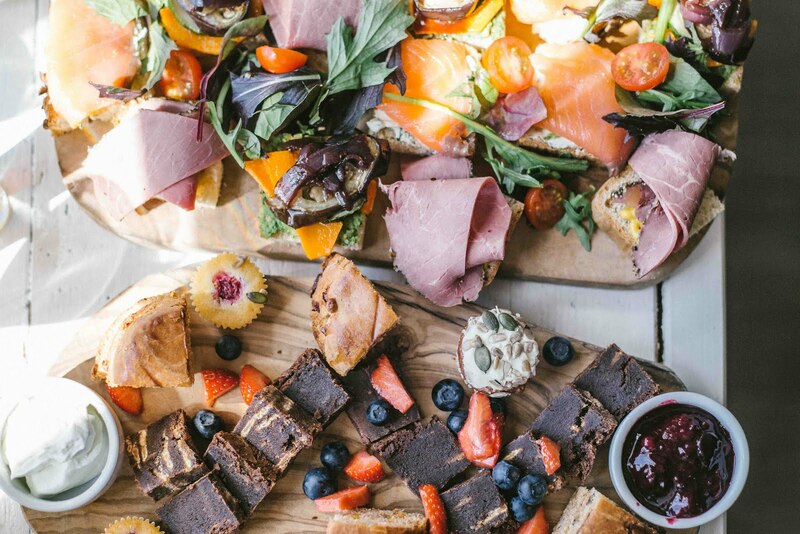 Whether this is a full afternoon tea at home or an office bake off, they're looking for people to get together with friends and family, over a slice of cake to help raise money to assist their vital work. Most of us will know someone who's needed the assistance of Marie Curie over the years, so why not make this your good deed for today and dust off that cake stand? 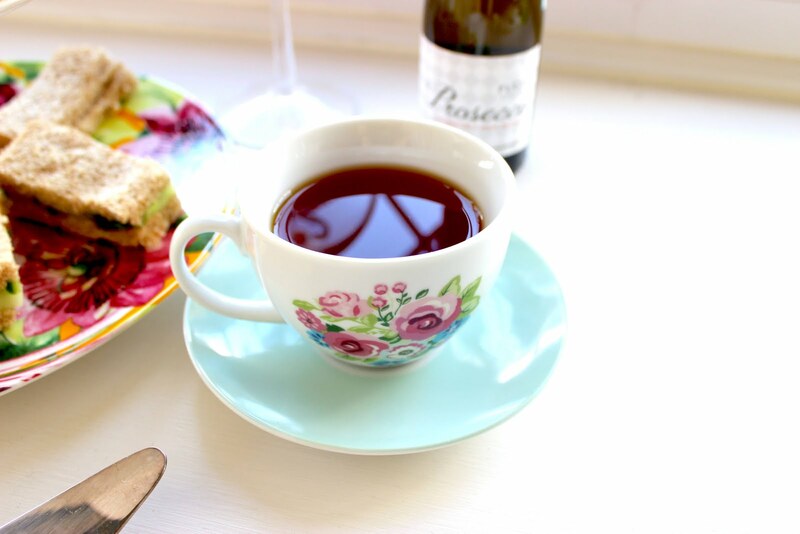 And if you need any more inspiration than the fact that you can essentially enjoy some guilt free cake - take a look at our top tips for hosting the perfect tea party below. 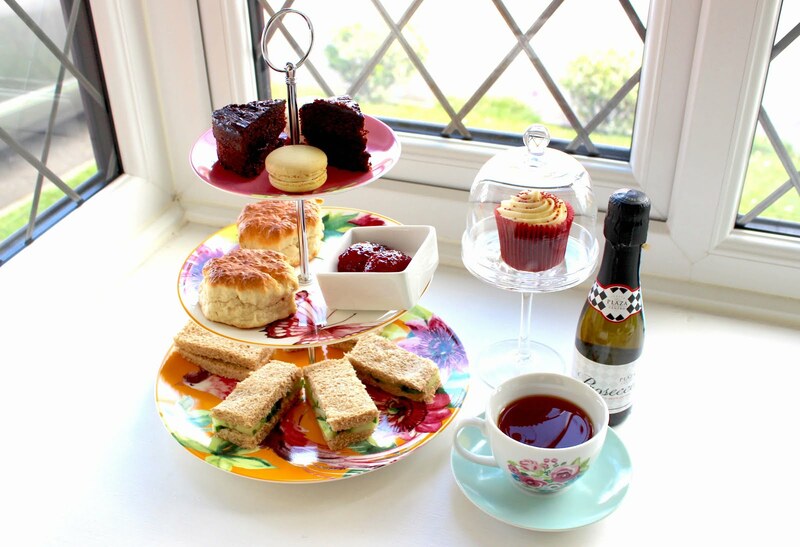 Top 5 Tips for Hosting the Perfect "Blooming Great Tea Party"
1. Be Creative – It’s your home and your menu, so go wild. If you don’t like finger sandwiches, swap them out for pastries. Not a fan of tea? Fill up that coffee cup. Don’t like cake? (Are you okay?) Crack open the biscuit tin… the possibilities are endless. 2. Can’t bake, won’t bake – Let’s face it, as much as we all enjoy eating cake, some of us just weren’t born for the kitchen. Don’t let this put you off though, embrace your lack of baking skills and take the opportunity to source some of your favourite shop-bought treats to enjoy. The main point of the Marie Curie ‘Blooming Great Tea Party’ is to enjoy some quality time with friends for a good cause, so don’t feel like you have to be a regular Mary Berry to get involved – Afternoon Tea doesn’t discriminate. However, if you do fancy a turn in the kitchen, take a look at the Marie Curie recipe page for some cakey inspiration. 3. Set the Scene – Dust off your finest china and get fancy. 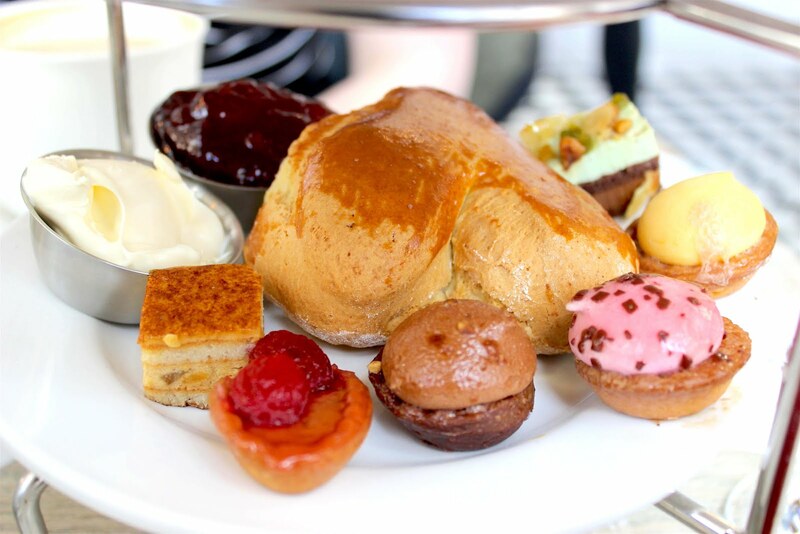 Afternoon tea, doesn’t have to be about finery, but if you’ve got it flaunt it. Take out those champagne glasses and polish that silver cake stand to set the perfect afternoon tea scene. Don’t have a cake stand? No need to worry, why not invest in some pretty paper plates and patterned napkins, to create the perfect party table, with some home-made bunting to match. 4. Host it your way - By all means, if you want to throw the tea party to end all tea parties, then go for it, but if you just want to have a few friends over for a cuppa and a slice of Victoria Sandwich, then that's allowed too. There are plenty of resources on the Marie Curie website to help you along the way, including invites, posters and games suggestions...you name it and they've got it covered. 5. 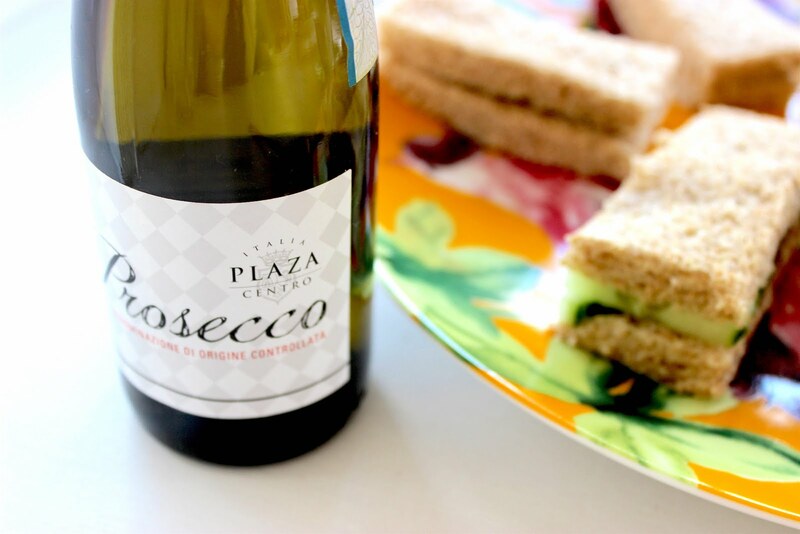 Get the Office Involved – For many of us, there simply aren’t enough hours in the day to prepare afternoon tea and work a 9-5 job, so why not get the office involved? 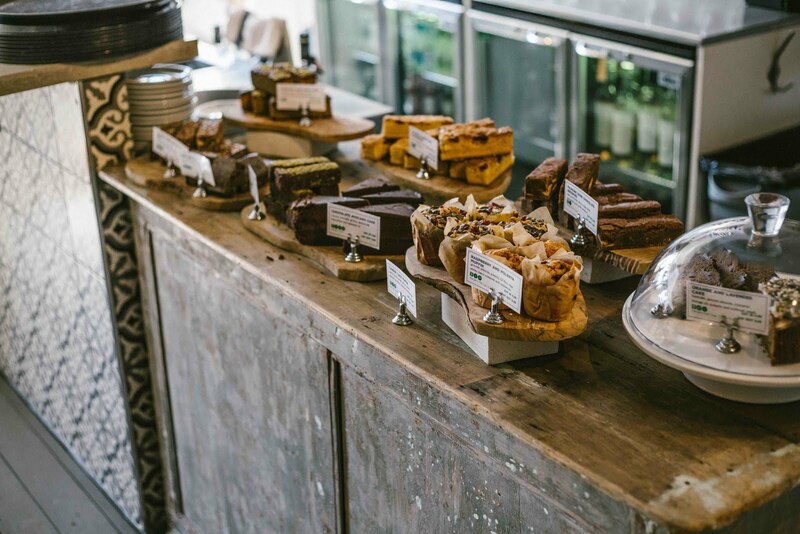 Host a bake off for charity or book out a meeting room and invite your work pals for tea over your mid-morning catch-up. In spite of its traditional customaries, sometimes Afternoon Tea should be less about the formalities and more about friends getting together for a chat over some good cake and tea. 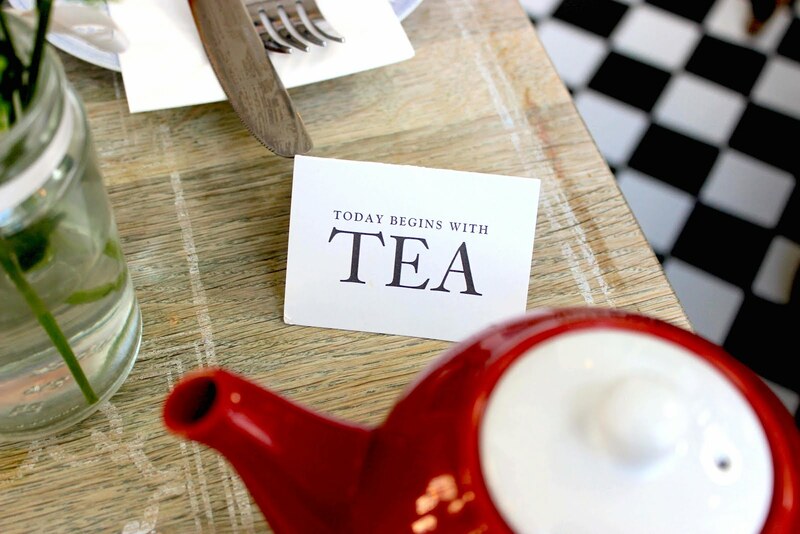 That’s exactly the order of the day at Proper Tea in Manchester as we discovered on a recent sunny Sunday afternoon. 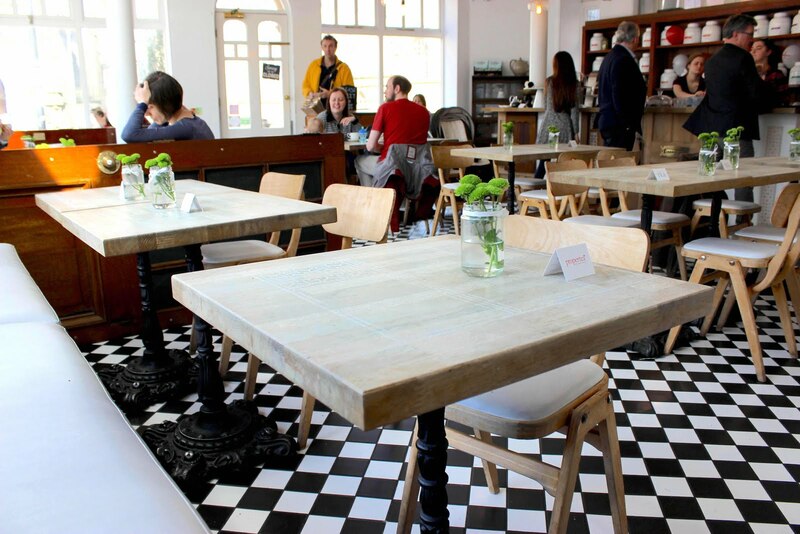 Nestled amongst the city’s Cathedral, Proper Tea is a rustic haven of mismatched teapots, homemade pastries and stripped back furniture on checkerboard tiles. 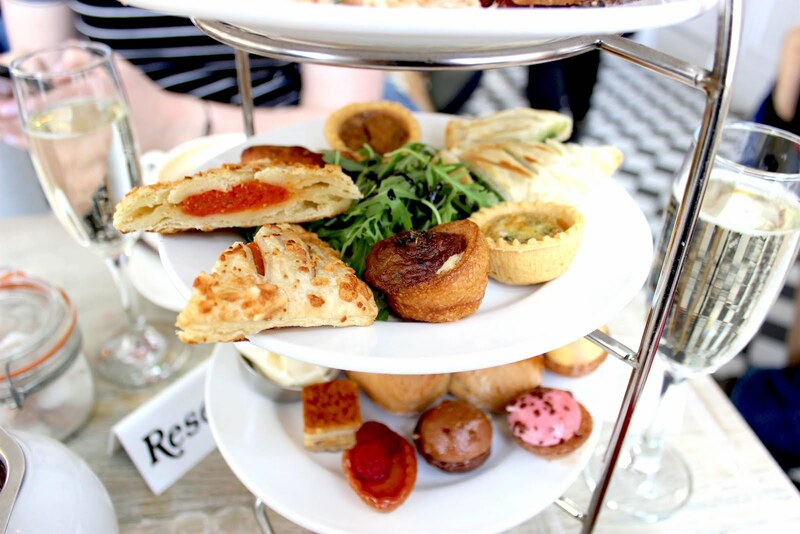 If you fancy treating yourself to more than a coffee and quick slice of one of the many cakes on the counter (all of which looked AMAZING), Proper Tea's Afternoon Tea offering is a reasonably priced option, presented in your standard three tiers but with an interesting arrangement. 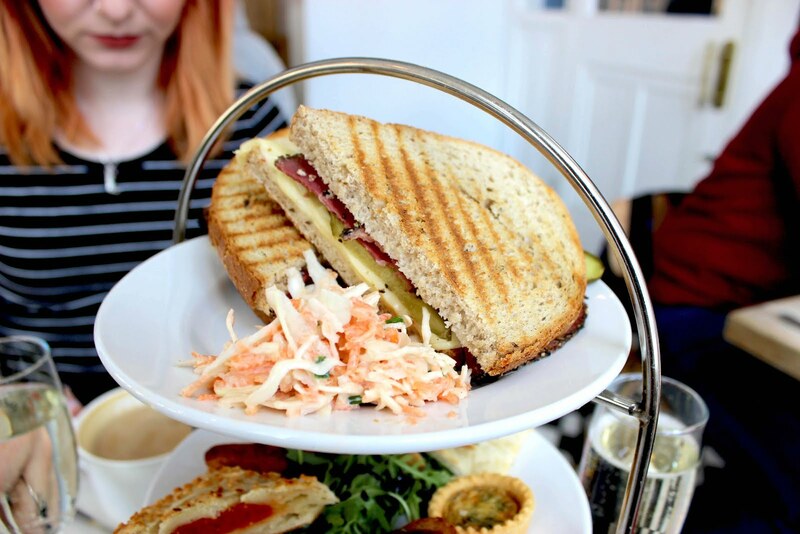 To start, the top layer comes two stodgy toasted sandwiches, each filled with pastrami, gherkins and cheese. A really good alternative to the finger sandwich assorted we’ve come to expect from but considering it’s such a huge part of the meal, it would have been nice to have had a choice of sandwich filling (Caroline’s not a fan of red meat and I’m not on great terms with cheese - nothing to declare any dietary requirements over - however a quick switcheroo and we were sorted) so we would recommend asking if there's a choice when you arrive. In addition to this, the savoury palette continues on the next tier with spinach and cheese and tomato pastries, mini toad in the hole and veggie pies. We’re big fans of a gentleman’s afternoon tea so we liked these a lot and the range of flavours was really good. Finally the bottom tier features a pretty array of mini cakes and giant scone to share - a heart shaped scone none the less! There are 6 miniature sweets, all completely different so you’ll have to fight over who gets the chocolate and hazelnut, but the eclectic selection means Proper Tea has covered all basis from pistachio to raspberry and lemon and everything else in between. 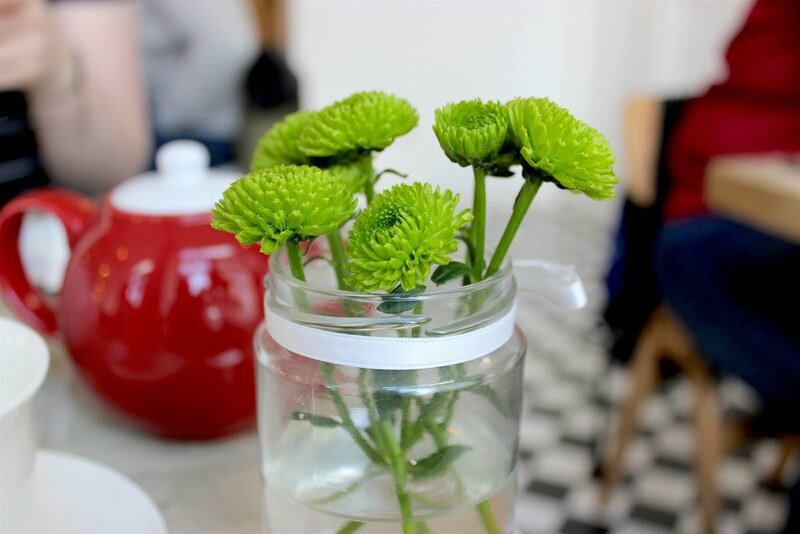 Overall this is a really nice Afternoon Tea, it's quite different than a lot of other similarly contemporary teas we've tried and the tea shop itself is a gorgeous environment. 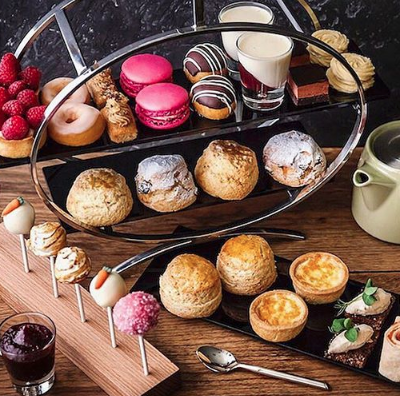 It's definitely the kind of Afternoon Tea you would want to spontaneously pop in on one weekend. 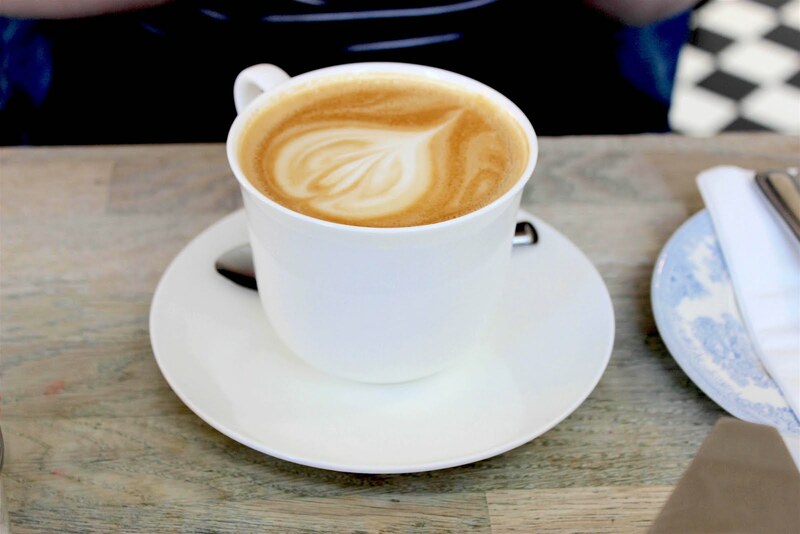 Plus it hosts a fantastic range of loose leaf teas for you to try so if you're a tea obsessive or a just a fan of a good old breakfast tea, you will be spoilt by this extensive menu. 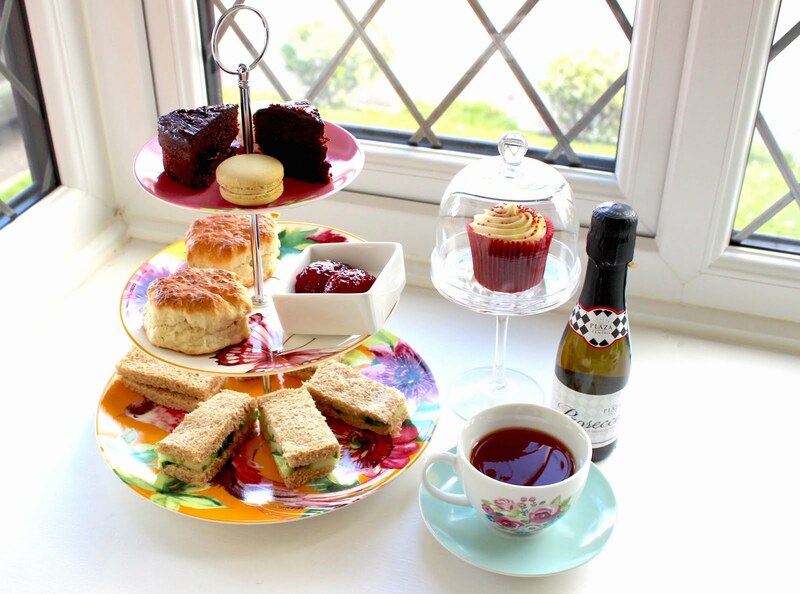 Sparkling Afternoon Tea is priced at £20pp.